If you are like me you are old enough to remember when radios “glowed in the dark”. I have many fond memories of working on and using those radios with the glowing glass bottles in them lovingly referred to by their fans as “boat anchors” . There are some advantages to the new solid state rigs that don't require you to poke around among test points with several hundred volts on them. Remember when one of the first things you learned was “safety first” one hand with the meter probe and one hand in your pocket? And make sure you were not standing on a conductive surface, or in water! 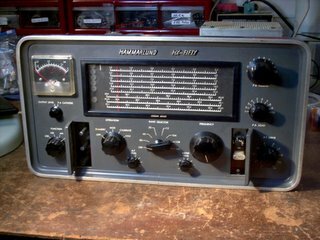 One of my first ham band only receivers was a Hammarlund HQ-110AC and I just couldn't believe how much better it was than my older general coverage short wave receives like my Hallicrafters S-38E. 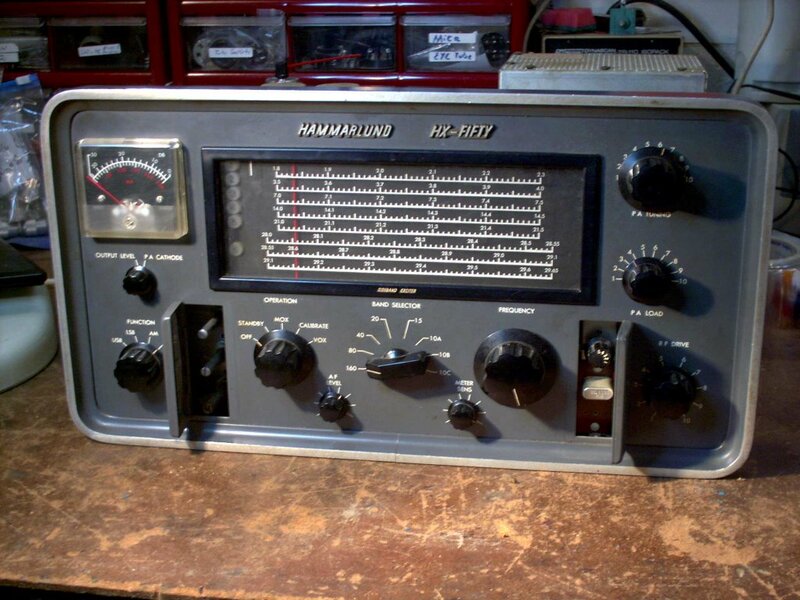 Hammarlund was legendary for their ham band only and general coverage receivers in the 50's and 60's along with a number of other names that have faded into history. If I had been aware of the fact that the also made transmitters I had forgotten about it until recently. My friend Paul, KB3LZP, has made a hobby of keeping these vintage radios alive and well. So when I overheard him on a local two meter repeater talking about restoring a Hammarlund transmitter I just had to check it out. Talk a look and see if this image as well as others on Paul's web site invoke fond memories for you also.